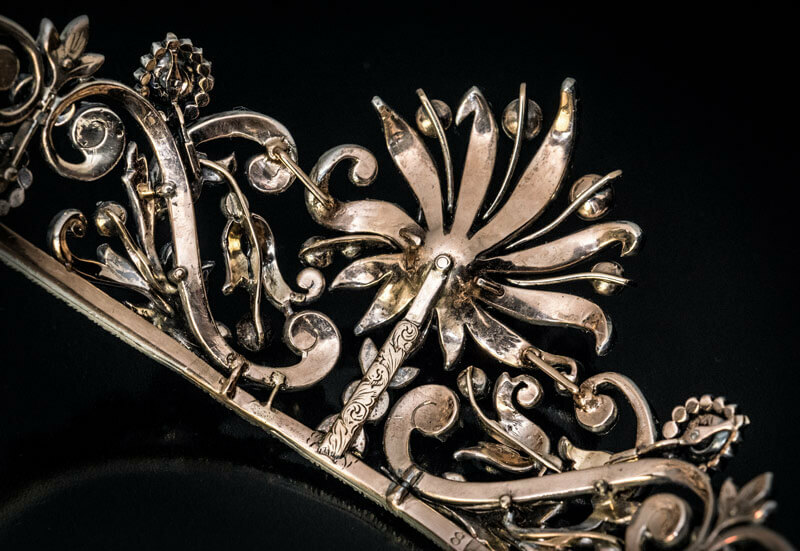 This is one of the only diamond tiaras from the Napoleonic era. 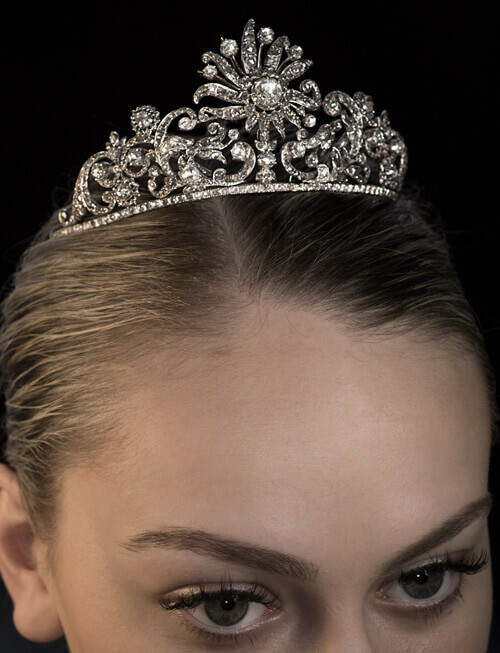 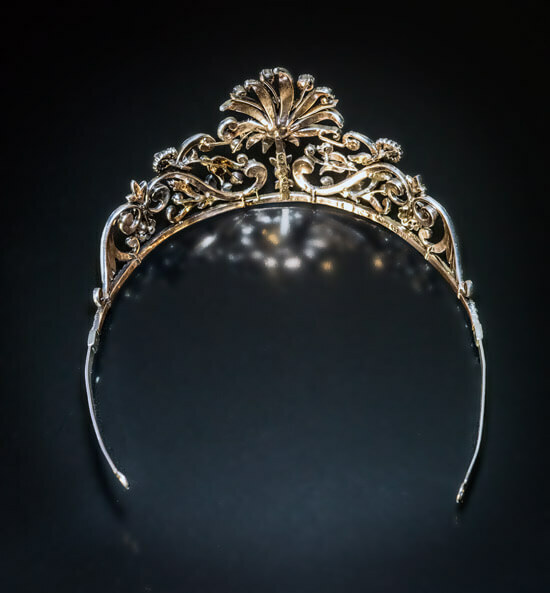 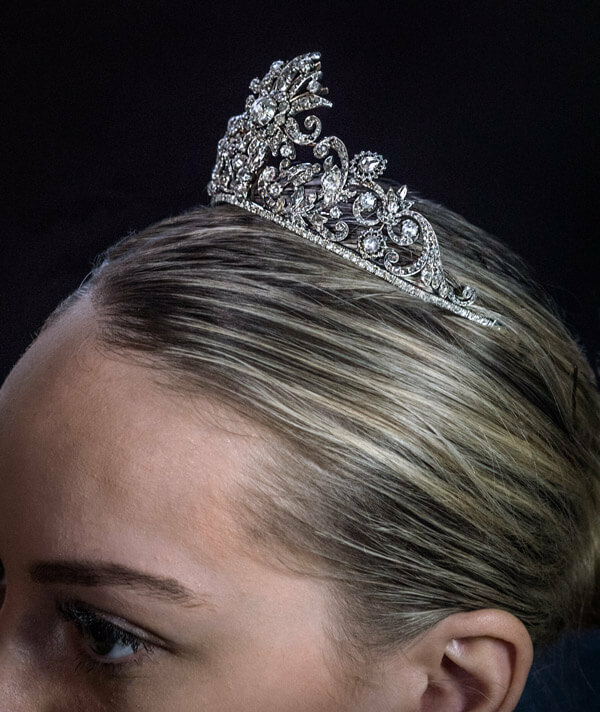 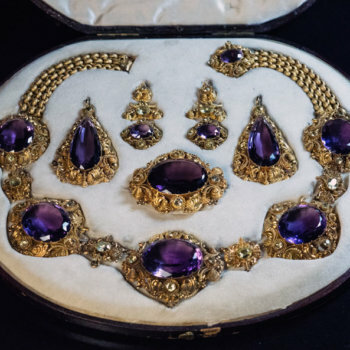 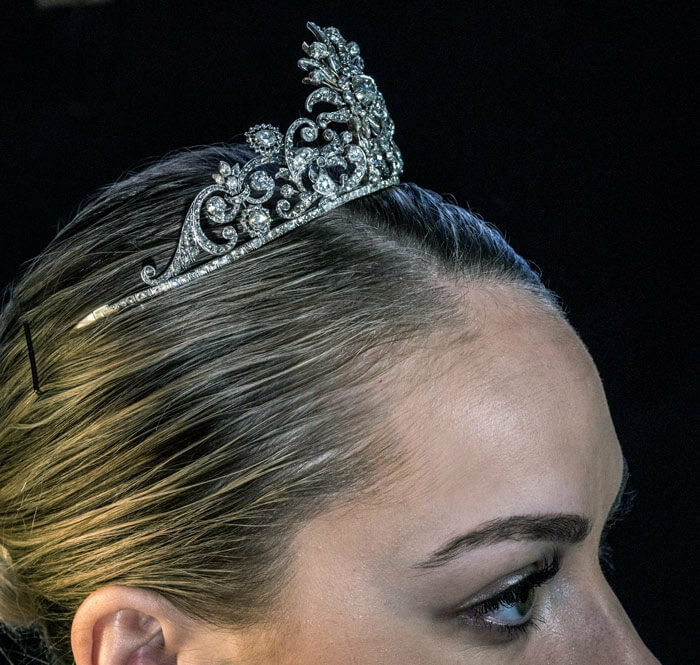 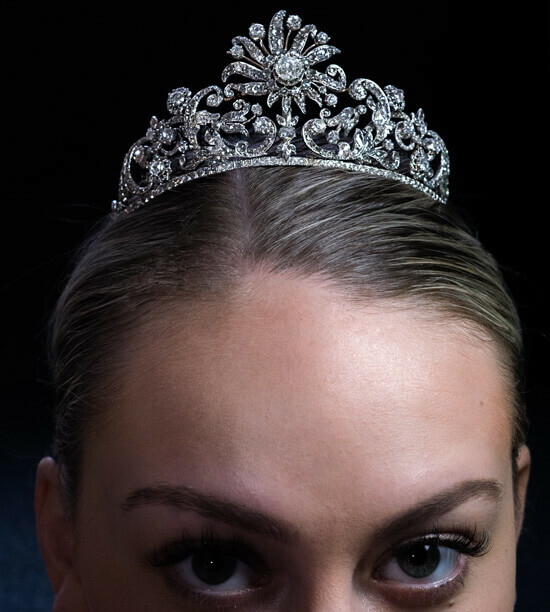 The tiara is crafted in silver-topped gold (front – silver, back – gold) and is embellished with 422 old rose cut diamonds of various shapes set in closed back settings. 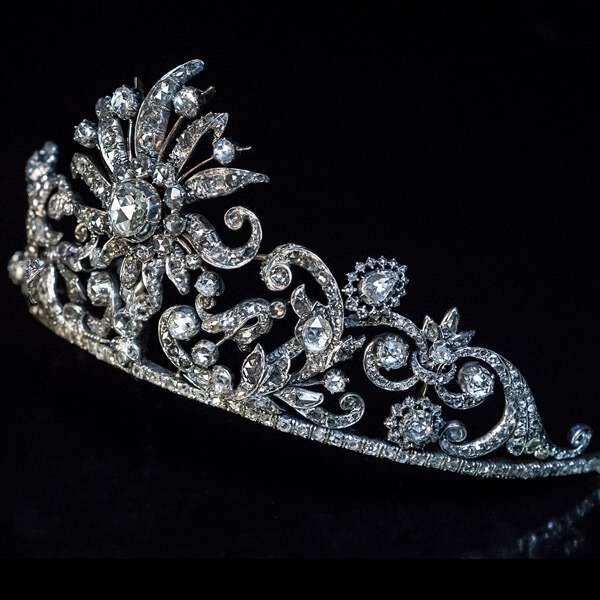 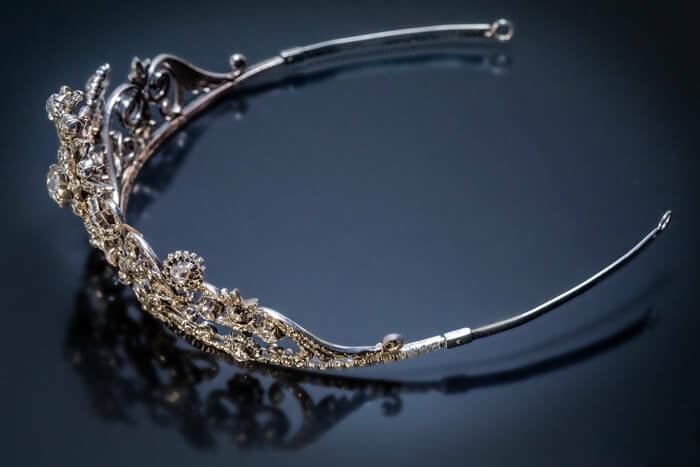 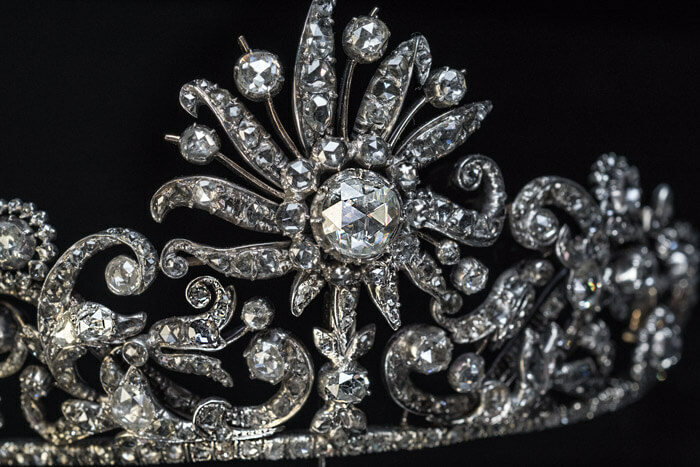 In the center of the tiara stands a large stylized flowerhead with curved, diamond-set leaves radiating outwards. 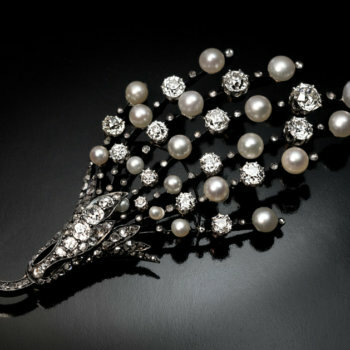 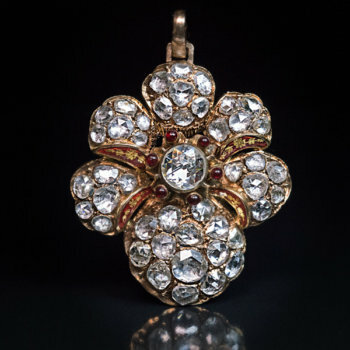 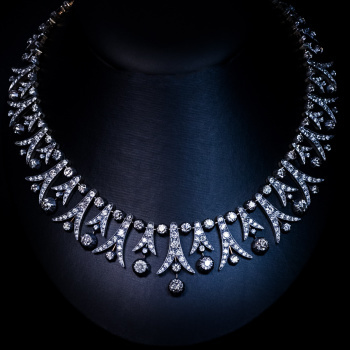 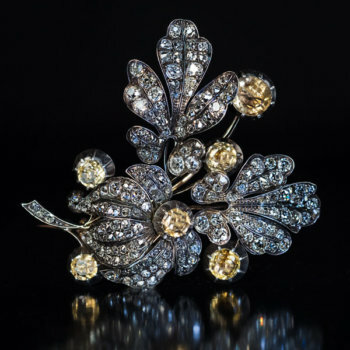 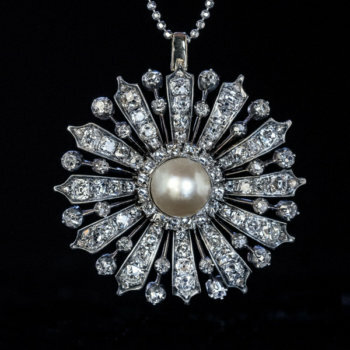 The flowerhead itself carries a hefty 9 mm diamond, and the tiara’s sides are embellished with a scrolling foliage of densely packed diamonds. 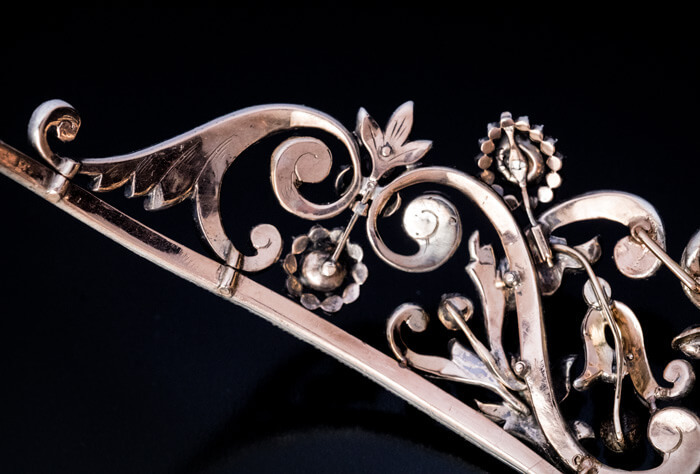 The polished silver detachable side extensions are modern edition.